Erasmus Medical Center PhD student Jesus Sierra presented MERLIN data at the Congress of the Transplantation Society in Madrid in July 2018. The title of Jesus’ talk was: Monocytic cells phagocytose therapeutic mesenchymal stem cells, which induces polarization, relocation and immune regulation. 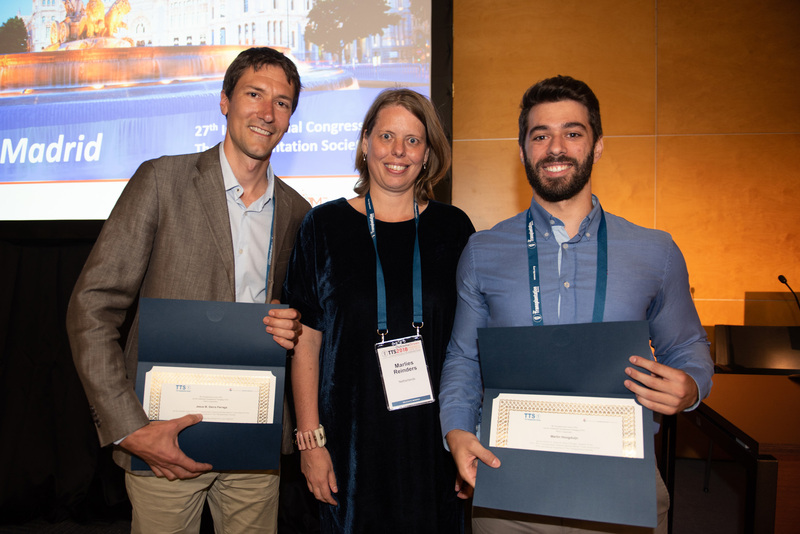 Jesus Sierra in conjunction with Martin Hoogdujin, his mentor claimed the mentor-mentee award at the 27th International Congress of The Transplantation Society. This year’s meeting was held in Madrid, Spain from June 30 to July 5, 2018. Pictured below from left to right: Martin Hoogduijn, Erasmus Medical Center, Rotterdam, Marlies Reinders, President of the Dutch Transplantation Society, and Jesus Sierra, presenter and PhD student.